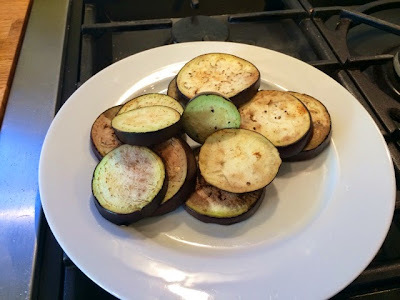 This is a dish I’ve often had different versions of in a variety of different (mostly Italian) restaurants but before now never attempted to make myself. I can’t think why not because it’s a really simple and tasty starter. This is obviously ideal for vegetarian guests and light enough that it’s not going to fill you up before your main. However, don’t dismiss this as the ‘just the veggie option’ as with all the scrumptious oozing cheesiness I think you’d be hard pushed to find a meat eater that would turn this down. Jam packed with the flavours of Italy I would happily munch my way through several of these as they are flavours I just can’t get enough of. One of the best things about this dish is how simple it is to put together for the amount of flavour you get out of it. You could also adapt it to make different variations, perhaps by using roasted red peppers instead of tomatoes or swapping the cheese. 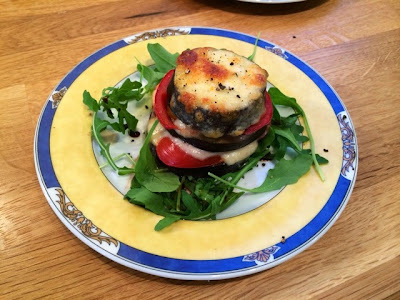 I think taleggio or perhaps even a goats’ cheese version would be really good. 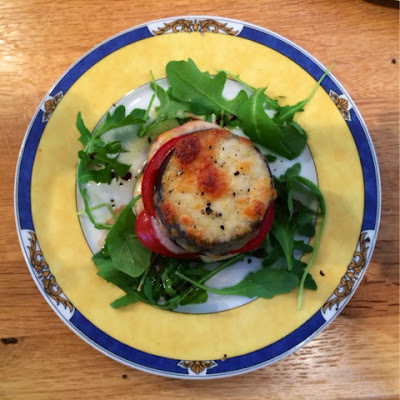 A couple of folded layers of parma ham in there could be incorporated for a meaty version. 2. 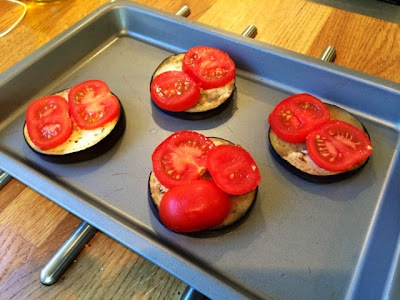 Slice the aubergine, tomatoes and mozzarella into approximately 1cm thick slices. 3. In a little oil lightly fry the aubergine rounds for a few minutes on each side until slightly browned. 4. 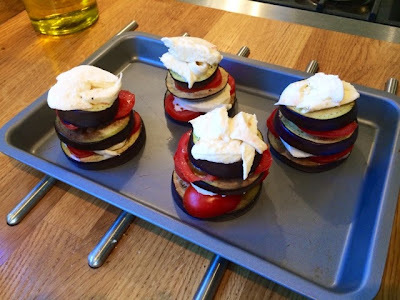 Starting with a slice of aubergine at the bottom stack your towers layering up the aubergine, tomato and mozzarella, finishing with cheese on the top. Sprinkle with a little salt and pepper. Bake for 15 minutes or until the cheese has gone golden and bubbly on top. 5. 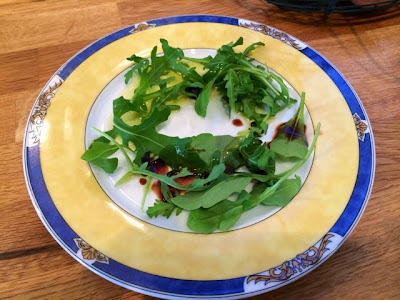 Place a handful of rocket leaves on each plate, leaving a space in the middle. 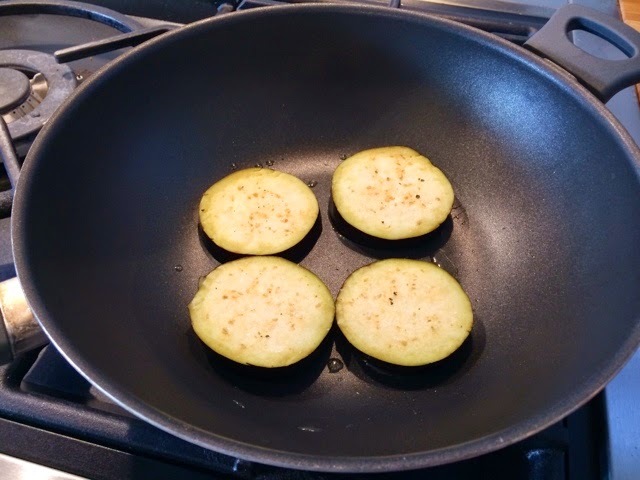 Drizzle with extra virgin olive oil and balsamic vinegar. 6. Place your tower in the middle and serve.